Our modern technology has come about from centuries of human evolution. Even before computers we were using cars to get around and radio/television to broadcast media across large areas of the population. Now that the Internet is so well adopted in most areas of the world the field of web design has become a booming industry. Every company and their CEO needs to have a website. This may appear overboard to some, but I am of the opinion there can never be too much information. And web design can truly solve some major problems in the studies of information technology. I’ve provided some thought-provoking ideas in this article to get web designers thinking about how to influence the world with their unique skillset. Back in the 1990s the Internet was a much more static environment. You didn’t always have people contributing new blog posts, photos, videos – in fact it was often difficult to even edit your own website! The WordPress revolution has changed the game so that now anybody with a basic understanding of word processing can manage their own backend. The best part about our modern-day Internet is the salient communication between everybody. It’s so easy to meet new people and collaborate from anywhere in the world. None of this would be possible without the backbone of the web in place. Just consider how many services you use to communicate and share ideas with others. However one slight problem with this methodology is how frequently websites can go under. Very rarely do you find a startup which has been online more than 5 or 6 years. 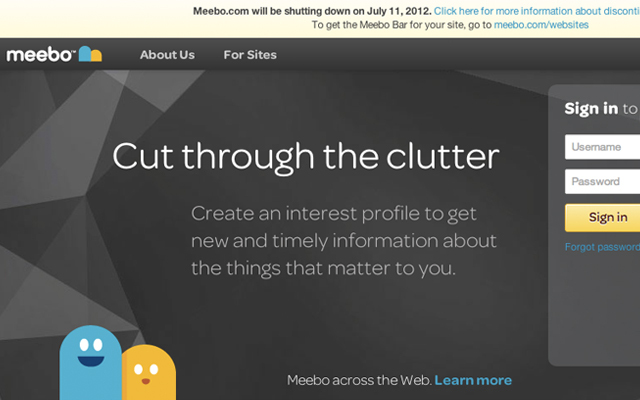 The popular messaging/IM client Meebo has recently announced it will shut down this July 11, 2012 after being sold to Google. Now you have users scrambling to find another service which may offer a similar or improved user experience. But consider this is where such talented web designers come into play. With the market open for a new in-browser IM client there’s more room for young developers to put together a small yet powerful idea. This is often how startups are created and will grow exceptionally fast. A key point to understand is that you should feel confident working on products that you love. Try to solve problems that you find yourself running into during your day-to-day work schedule. Because it’s likely that if the problem is there for you, many other people are experiencing the same pain. I would argue that solving these problems creatively allows for more flexibility in the long run. You can always adjust websites to fit into a tighter niche – we can use Facebook as an example. The social networking giant started off very small with simple profile photos and status updates. Now the app includes events, videos, and tons of 3rd party publishers who build for the FB system. I can’t say that Facebook has solved a problem which people were dying to figure out. But clearly the website is very popular all around the world. It must be the case that users didn’t even think about having this problem of communication until they were offered a solution through Facebook. And we can see the ever-growing connection on other networks such as Twitter and Google+. Whenever I build a website from scratch there is usually a solid idea of what I’m trying to build. This could be a gaming fansite or a small interactive discussion board, or a weblog or anything. By having the purpose of my website already nailed down, I can swiftly move forward with design and implement features which complement user interactions. 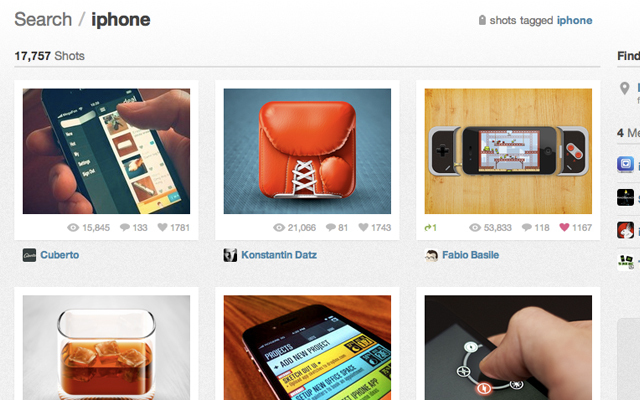 I really do love the website Dribbble as it is a network full of so many talented designers. Before I even found the site in 2009 it never occurred to me that a design-based invite-only community would flourish with so many creative ideas. 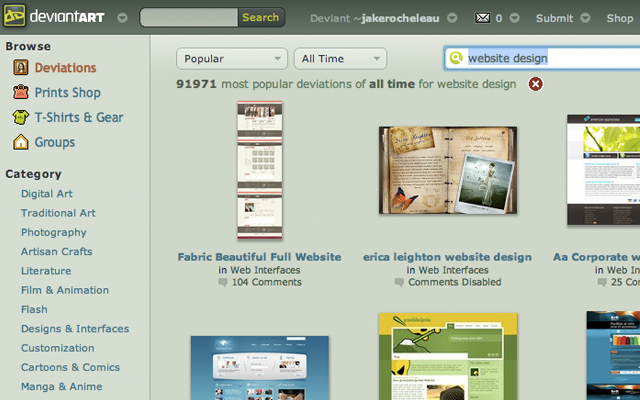 DeviantART was already popular, but the premise behind Dribbble was very different. These two websites have a similar target userbase yet provide a totally different environment and experience to their visitors. The reason I feel Dribbble has grown so fast is because of the simplicity to get going. Even without an account you can quickly browse through the latest graphic shots and find yourself in amazement by all the major talent. Their layout perpetuates this by keeping shots as the center of attention. When building a similar website always remain focused on the most critical components. Dribbble has since gone back to include user comments, favorites(or “buckets”), and project groups to place individual shots together. All this functionality didn’t need to be created right from the start. And you aren’t expected to have the perfect web application setup within a few months of work, either. Keep yourself motivated by learning from other examples and listening to the professionals. 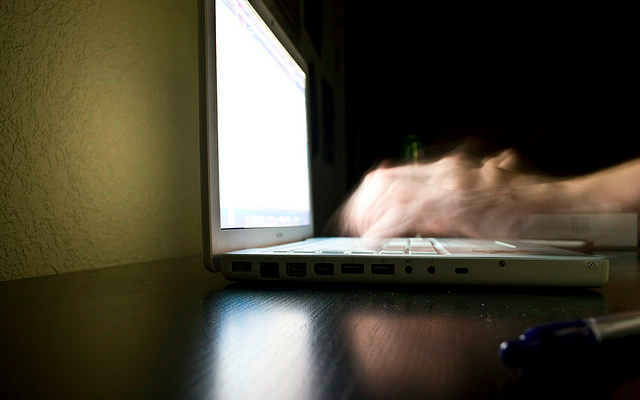 Don’t be afraid to kill some time browsing the web for inspiration from other similar websites. The Internet has grown into a huge niche of counter-culture technology and requires more finesse than building physical products. It would be foolish to go back so frequently and re-invent the wheel on newer technologies. Why code a custom jQuery image slider when there are dozens of plugins you can utilize? This is the case for almost any aspect of web development including HTML5/CSS3 layouts and backend coding. WordPress and other CMS’ can be a fantastic solution which dramatically cuts down on development time. This concept is known in the programming field as abstraction where you build on top of layers of existing technology. We are very lucky to be working in a time where there are so many free resources you can find with just a simple Google search. This is probably the best tip for saving time and learning techniques on each new website launch. These ideas should get you thinking about crafting websites under the premise of problem solving. We are all innovators in this time regardless of the products we develop. Each new project can become a tremendous learning experience which you’ll carry on into the rest of your future work. As always, feel free to share your thoughts or questions on these ideas for creative web design solutions in the post discussion area.